+ Online purchases are up 18% over the last 6 weeks compared with last year. + 1/3 of online purchases will be returned. + Amazon will soon have 60 freighter aircraft. These help it undercut UPS and FedEx. 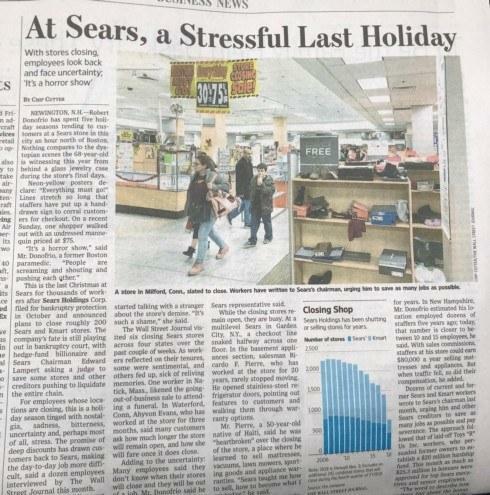 Notably, Sears and most major retailers lease no airfreight carriers. While times are good, retailers should be taking pages form Amazon’s playbook to avoid Sears’ fate.